It’s been a rough month for online journalism, as a pair of ill-advised copyright decisions from federal courts in New York chip away at the legal protections that allow it to operate. EFF and many others are joining forces to push back. First, in Goldman v Breitbart et al., a federal court in New York bucked years of settled precedent and ruled [PDF] that you can infringe copyright simply by embedding a tweet in a web page. Even worse, the logic of the ruling applies to all in-line linking, not just embedding tweets. The case started when a photograph of football player Tom Brady went viral amidst murmurings that he was trying to recruit basketball player Kevin Durant for the Boston Celtics. Mr. Goldman, the photographer, posted it to Snapchat and it was quickly reposted on Reddit and Twitter. Eventually, various news publishers and media websites wrote about the developing sports story and embedded the tweets containing the photo into their articles. The photographer didn’t give explicit permission for his photo to go viral, and he wasn’t happy. At that point he had options. The easiest would have been to use the DMCA takedown process to get the original photo taken off Twitter, which would have disabled the embeds as well. Alternatively, he might have sued Twitter for copyright infringement for displaying the photo, though Twitter would likely have defeated that lawsuit by invoking the DMCA safe harbors. But the photographer chose a third, potentially more lucrative approach: sue the news organizations that reported on the story. Most copyright lawyers would have told him this might not be a good idea, because courts have long held that copyright liability rests with the entity that hosts the infringing content—not someone who simply links to it. That would mean Twitter, not the various media websites that embedded the tweet. The linker often has no idea whether it’s infringing and isn’t ultimately in control of what content the server will provide when a browser contacts it. This “server test,” originally from a 2007 Ninth Circuit case called Perfect 10 v. Amazon, provides a clear and easy-to-administer rule. It has been a foundation of the modern Internet. Surprisingly, though, Mr. Goldman’s gamble paid off. Judge Katherine Forrest rejected the Ninth Circuit’s server test, based in part on an alarming new approach to embedding. The opinion describes the simple process of embedding a tweet or image—something done every day by millions of ordinary Internet users—as if it were a highly technical process done by “coders.” That process, she concluded, put web publishers who link, not servers who host content, in the drivers’ seat, which means they are directly responsible if the image happens to infringe copyright. If adopted by other courts, this decision would threaten online journalists of all stripes, not to mention millions of ordinary Internet users, with infringement liability. The good news: yesterday Judge Forrest recognized the potential impact of her ruling and certified the decision for immediate appeal. The bad news: that appeal is going to the Second Circuit, which has recently proven itself no friend of online journalism. In a recent Second Circuit case, Fox News sued a company called TVEyes, claiming the company’s text-searchable database of television and radio content—used by journalists, scholars, and political campaigns to study and monitor the national media—infringed Fox’s copyright in its programming. The lower court essentially split the baby, finding some aspects of the service were protected fair uses, and some were not. On appeal, the Second Circuit ruled that TVEyes service was not a fair use, based on at least three fundamental errors. First, the court held that “the success of the TVEyes business model” demonstrates that a market for such a service exists which was “plausibly exploitable” by Fox as well, and that in turn weighed against fair use. This type of circular reasoning is often argued by rightsholders, but until now has been broadly rejected. There is always a potential market for any fair use – after all, the defendant is doing it, and could have paid a license rather than exercising her fair use rights. If this reasoning were the law, it would undermine the many commercial fair uses that underpin journalism and access to information online. It’s particularly troubling that the court applied this reasoning here, where many of the clips TVEyes archived are not in fact available under license from Fox, and where Fox’s licensing terms would restrict the critical commentary that TVEyes enables. Second, the court gave little weight to the factual nature of the works in question, contrary to the Supreme Court’s clear admonition in the HathiTrust case that fair use “recognizes a greater need to disseminate factual works than works of fiction or fantasy.” The need to disseminate and analyze works that are essentially factual (or, at least, which make factual assertions) is critical to an informed public. Copyright law has traditionally recognized this. Finally, the court gave short shrift to the overarching question that should inform any fair analysis: whether the use serves the purposes of copyright. 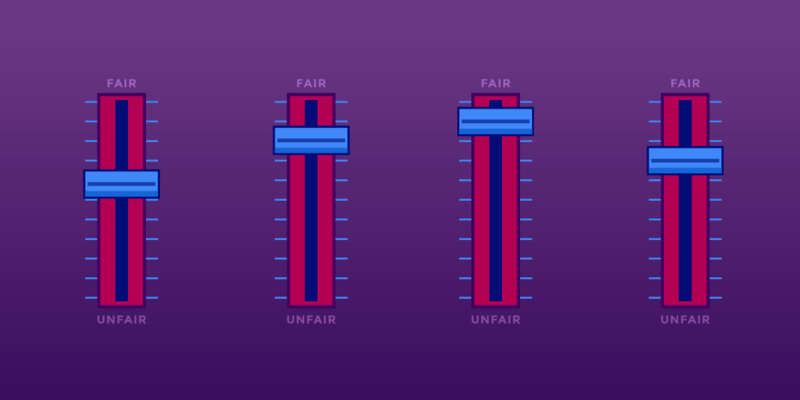 As the Supreme Court put it, copyright is “intended to increase and not impede the harvest of knowledge.” The TVEyes case is a classic instance of fair use, creating breathing room for healthy public debate that can increase “the harvest of knowledge.” The TVEyes system and enables subscribers to discover, gather, and report factual information about how media outlets like Fox are framing and describing important events. The way Fox reports on issues has real consequences, particularly given that the current U.S. President is an avid viewer. We hope that courts in New York don’t break with the strong precedents supporting online journalism and media critique. Via an amicus brief with media critics and the Organization for Transformative Works, filed by the Juelsgaard Intellectual Property and Innovation Clinic at Stanford Law School, EFF explained to the court how to correctly apply the law and why it is so important to get these questions right.